Rasmussen Addendum: Majority thinks U.S. should stay in U.N.
Just one day after revealing that a plurality of likely U.S. voters thinks the country is “overpaying for its involvement” in the United Nations, Rasmussen Reports said 72 percent of those voters think the country needs to stay in the world organization. Most voters also “still have a positive view of the UN,” Rasmussen added Thursday. So, what is it about the UN that seems to drive some people nuts? Is it the blue helmet fear? Are we worried that other countries seem determined to tell us how to live? None of that has ever been explained. 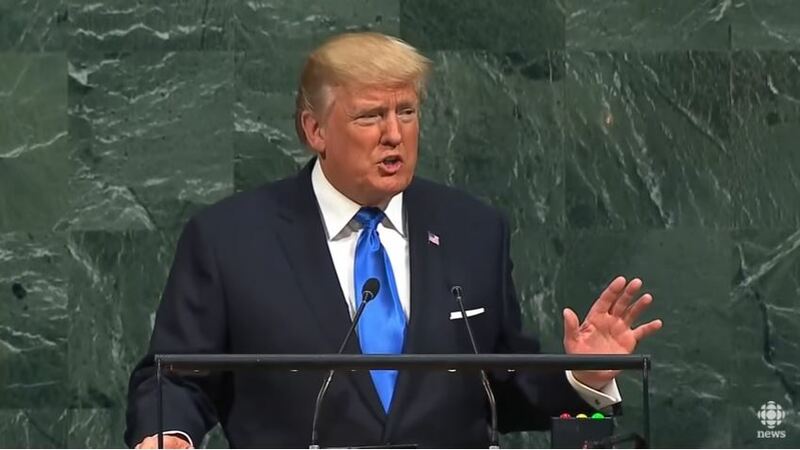 Sixty percent of voters responding to the Rasmussen report “continue to hold a favorable opinion of the UN, including 17% with a very favorable impression.” According to Rasmussen, that’s up from 55 percent who viewed the UN favorably in a December survey. All of this said Americans seem to have a love-hate opinion of the world group. Gun owners are extremely wary of the UN because they seriously dislike the notion of global gun control. The Second Amendment is not very popular with anti-gunners around the world, but U.S. representatives to the UN have managed to keep them at bay. Back in February, a Rasmussen survey found that 50 percent of likely voters favored a “major cutback” in U.S. support of the UN. Right now, this country pays about 22 percent of the international organization’s annual budget. Not surprisingly, when it came to breaking down the vote on party lines, only 35 percent of Democrats think we should trim the support while 68 percent of Republicans and a plurality (49%) of independents supported major cuts. Meanwhile, President Trump’s approval rating stays the same at 43 percent in Rasmussen’s daily tracking poll.